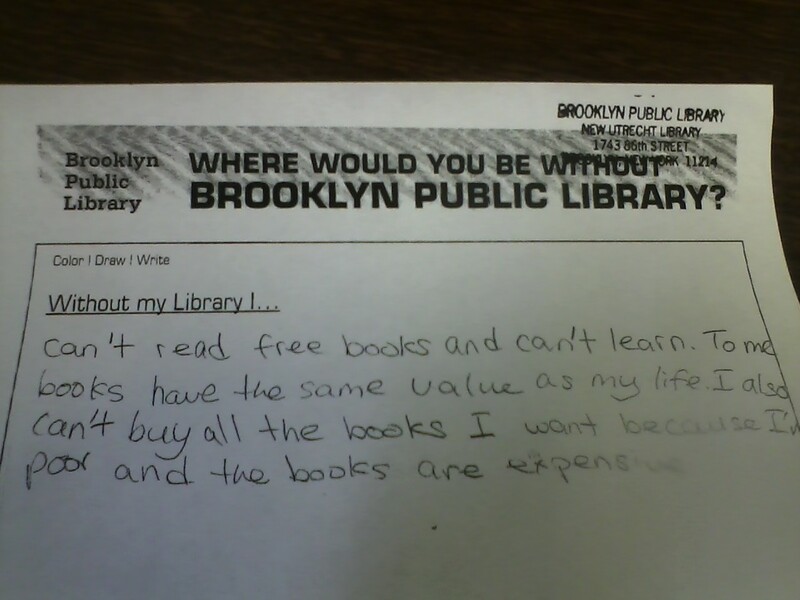 Today the City Council restored $25 million dollars of a potential $27 million dollar cut to Brooklyn Public Library. This means that BPL will "maintain existing service levels and avoid layoffs,"
as stated by our President and CEO Linda Johnson. say thank you to anyone who signed the petitions, tweeted about the cuts, checked out a book - ANYTHING to support NYC libraries and this cause. Thank you. I hope we do not to have to do this again next year, but it's comforting to know that people are on the side of libraries. Two posts in one day! This is unprecedented. I just wanted to thank everyone who may have voted for me in the Salem Press 2012 Library Blog awards. I am proud to say that my blog won in the "Quirky" category, which makes me especially happy because public librarianship is, at the very least, extremely quirky. There were a lot of great blogs featured in the contest, and I'm honored to be in their company. They even emailed me a badge to put on my site, which I guess makes it EXTRA official! Even if you didn't get a chance to vote in the contest, I want to thank everyone who reads/follows/comments on/promotes/supports/merely glances at my blog. The whole reason I started blogging was to raise awareness about libraries and show that there are many aspects of being a librarian that people might not see - and also, hopefully, to show the importance of libraries in peoples' lives, children in particular. Being acknowledged in this way gives me hope that people are paying attention and that libraries will be around for a long, long time. 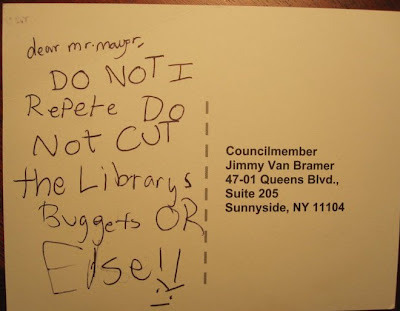 I'm sure you're all getting very tired of hearing about these potential NYC library budget cuts - Lord knows that I'm tired of talking about them - but think of it this way: just consider how much more annoying it would be to hear me complain about actual NYC library budget cuts if they were to go through (and you'd better believe I'd be hitting up all my friends, family, and distant acquaintances for jobs if I got laid off!) So this sort of harassment...I mean, reminder...is really mild in comparison. That's right! It's not just for reporting potholes or finding out when the recycling gets collected. You can use it to FIGHT THE MAN. Just dial those three little numbers and let your voice be heard - literally. Tell them you are an avid library user and you oppose Mayor Bloomberg's projected library budget cuts. It's as *simple as that! Just...call 311 like I told you. Do it. Now. What are you waiting for?! Even if you don't happen to live in NYC, you can still help! 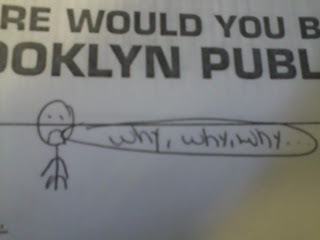 Call 212-NEW-YORK (or 212-639-9675, for those who hate deciphering that stuff like I do). In addition, the TTY Number is 212-504-4115. Here's the official Facebook Invite created by Urban Librarians Unite if you want to "attend" and show all your friends how cool and socially aware you are. And here's a great post by ULU about why you should do this in the first place - it even provides a helpful script if you are feeling shy. So, thank you in advance! 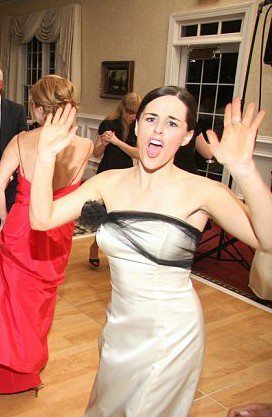 I look forward to a time when I can go back to talking about funny ridiculous library stuff like kids telling me I have to get married soon or I'll die alone instead of scary ridiculous library stuff like budget cuts. Yesterday was our Summer Reading Kickoff. Everyone seemed to have a nice time, although it was a bit more low-key (low-keyer?) than previous years. But I manned the fake tattoo station and my co-worker held an arts & crafts session and we did the best we could with our limited staff and resources. Speaking of limited staff and resources, have I mentioned in the past five seconds that the Mayor is trying to cut our budget even more? No? Okay, I guess it's time to talk about it again. 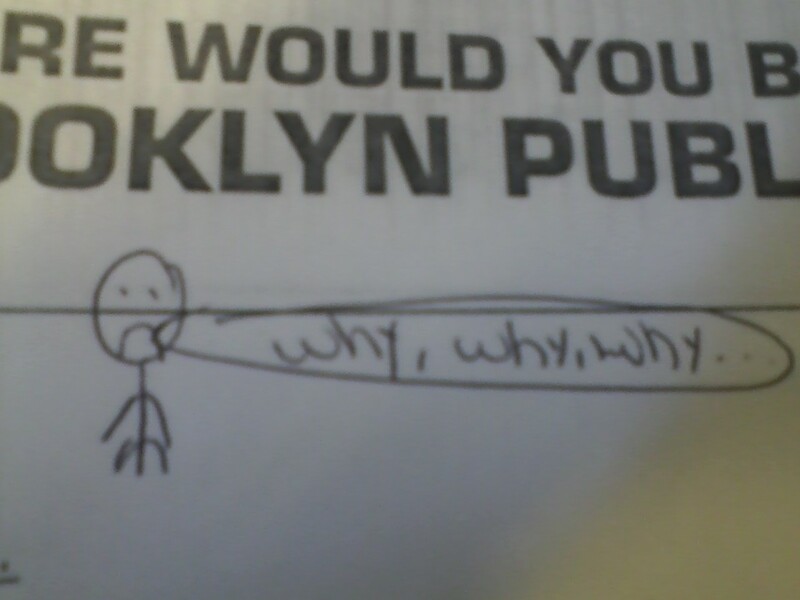 In my previous post, I linked to BPL's online petition (which you should totally sign,) but they also created a special sheet for kids to fill out with the heading "Where would you be without Brooklyn Public Library?" We handed out these sheets during the kickoff yesterday and got a lot of responses from young library users of all ages. I just want to repeat that one line: "To me books have the same value as my life." This kid is DEDICATED. 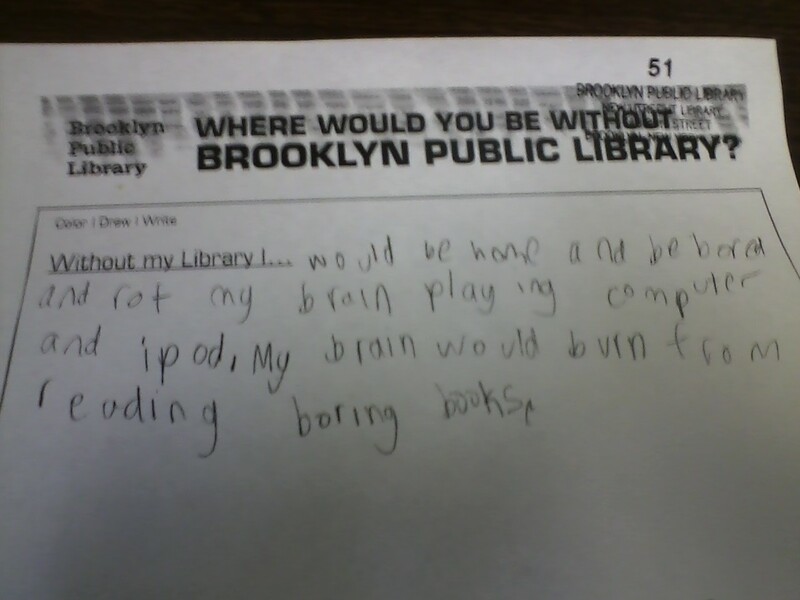 I'm just going to assume he meant that the books he has at HOME are boring, not the ones at the library. 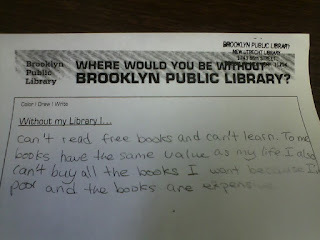 Without my library I..."would not be able to have access to books. I'm 4.5 and have Down Syndrome. My mom is writing this for me because I can't. 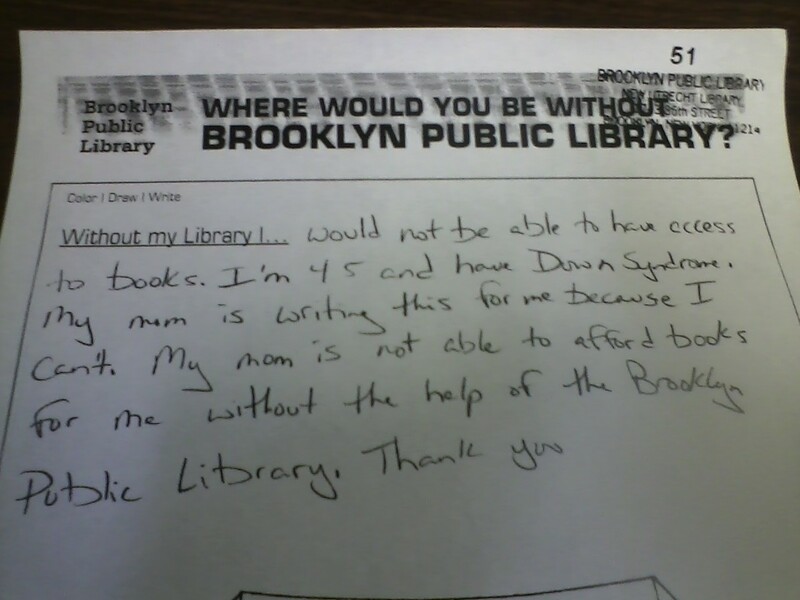 My mom is not able to afford books for me without the help of the Brooklyn Public Library." I mean, that really just kind of says it all, doesn't it? 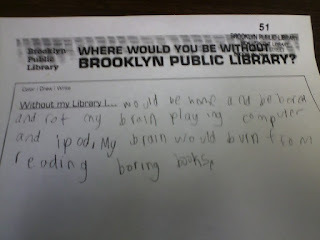 Without my library I..."will be bored. I would not read any books. I will not have fun. My Level reading will be bad. If my computer broke, I will not have a place where I do my homeworks, projects, and more. I will not have somebody to help me in my homework when I don't know. I would not have a program where I could learn. I will be so bored and sad if I didn't have my library." As you can see, she was NOT happy with the prospect of libraries being closed. When I explained to her in general about the budget cuts, she said "Are they idiots?" I didn't quite know how to answer her. Let's not be idiots, people. Let's keep our libraries open. FOR THE CHILDREN.